Marbeth Sedgwick Powell was born on August 19, 1920 in Lemont, Illinois. She died on December 19, 2015 in Lacey, WA. She always considered herself a Washingtonian because her parents were living in Washington when her mother got pregnant. 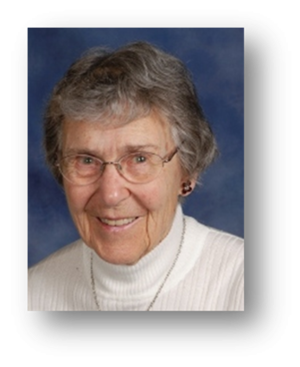 Marbeth grew up in Seattle, attended Franklin High School, Whitman College, and graduated from the University of Washington in 1942. She married Alanson Towne Powell in April 1942 in Seattle. He preceded her in death in 2006. They had four daughters: Betsy (Mike) Pierce formerly of Sedro Woolley, now Olympia; Francia (David) Reynolds of Olympia, Alane (Duncan) Howard of Loveland, Colorado, and Dana (Mark) Mills-Powell, deceased, formerly of Cambridge, England. She has eight grandchildren, and 11great-grandchildren. Marbeth worked as a journalist and taught school at various times throughout her career. After her husband’s retirement as Business Manager from the Peralta School District in Oakland, California, in 1977, they moved to South Colby, near Port Orchard, in Kitsap County. Marbeth was on the South Kitsap School Board and South Kitsap Parks and Recreation Board. She was nominated as Port Orchard Chamber of Commerce Woman of the Year in 1992 after being instrumental in developing a new park near Port Orchard. The road into South Kitsap Regional Park, originally called Jackson Park, was named Marbeth Lane in her honor. Marbeth and Alanson moved to Panorama in 1995, where she sang in the church choir and volunteered in the Convalescent and Rehabilitation Center. She moved to the Riedel Adult Family Home in 2014 where she was cared for and loved.